Everyone knows KISS. 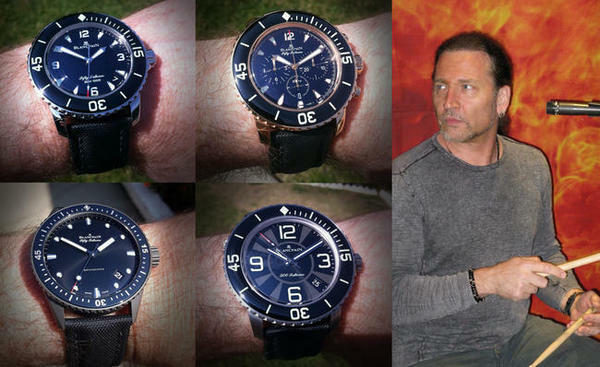 What most people do not know, however, is that the band�s drummer, Eric Singer, is a dyed-in-the-wool watch collector. Indeed, he is particularly fond of the Fifty Fathoms, the legendary timepiece by Blancpain. 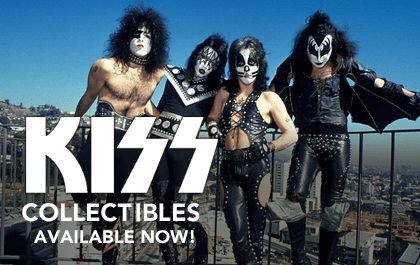 In 1991, Eric Singer replaced Eric Carr � who had been diagnosed with cancer � as KISS drummer. However, Singer only became a permanent member of the band in 2001. Meanwhile, in the 1990s, he took part in the adventures of various legendary bands. Eric Singer specialises in hard rock and collaborated with artists such as Alice Cooper, Black Sabbath, Brian May, Queen, Lita Ford, Gary Moore and Avantasia. Other than having a passion for music, he is an informed watch aficionado to the point of being found in the halls at Baselworld learning about new timepieces.Everyone knows KISS. What most people do not know, however, is that the band�s drummer, Eric Singer, is a dyed-in-the-wool watch collector. Indeed, he is particularly fond of the Fifty Fathoms, the legendary timepiece by Blancpain. 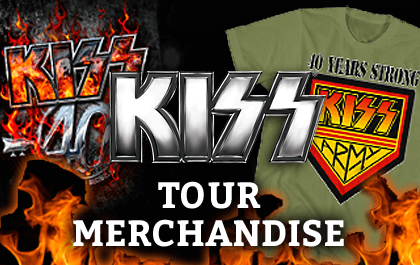 In 1991, Eric Singer replaced Eric Carr � who had been diagnosed with cancer � as KISS drummer. However, Singer only became a permanent member of the band in 2001. Meanwhile, in the 1990s, he took part in the adventures of various legendary bands. Eric Singer specialises in hard rock and collaborated with artists such as Alice Cooper, Black Sabbath, Brian May, Queen, Lita Ford, Gary Moore and Avantasia. Other than having a passion for music, he is an informed watch aficionado to the point of being found in the halls at Baselworld learning about new timepieces. M.G : We are curious about your passion for horology, which is evidenlty much less well-known than your music. How did this come about ? E.S :I have always liked watches since childhood. I still have my very first German made watch somewhere that I got when I was about 5 or 6 years old. I am not sure what attracted me to watches, but I remember my Father had some nice wristwatches that I used to take out of his dresser drawer and fiddle about with them. A Jaeger LeCoultre triple calendar moonphase and a mini sized Gallet chronograph. Your watch collection includes several versions of the Blancpain Fifty Fathoms� How did this legendary timepiece come to be so dear to you? E.S :I always have liked the look size and style of Dive watches. Being that I usually am attracted to most things that are non mainstream or different plays into that as well. The history of the Fifty Fathoms is legendary and interesting as well. But mostly the overall quality and uniqueness of the current line of FF watches is what really closed the deal for me. The Sapphire bezel is just a work of art and "special" in my opinion compared to any other brand. Also the movement is fantastic. I have (4) BLANCPAIN models in the Fifty Fathoms range now. What do you think of the new Bathyscaphe ? Do you scuba-dive? If yes, have you ever done so wearing one of your Fifty Fathoms? Eric Singer came across Watchonista through the Wristshots group on Facebook, to which he is a loyal contributor. The rule? Take a photo of oneself wearing a watch and immediately post it on the network.